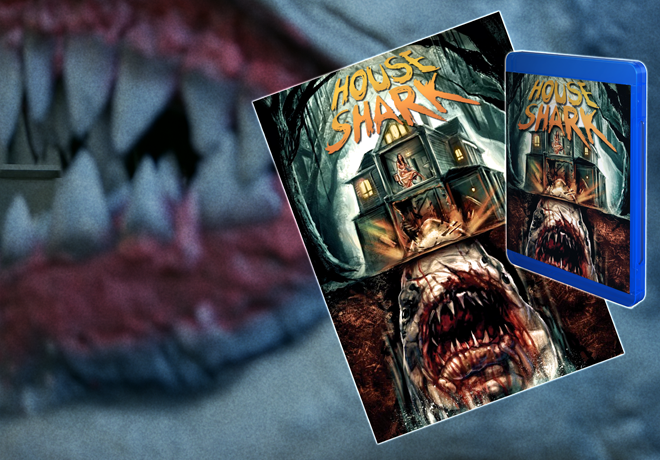 “House Shark” Presales Have Started! 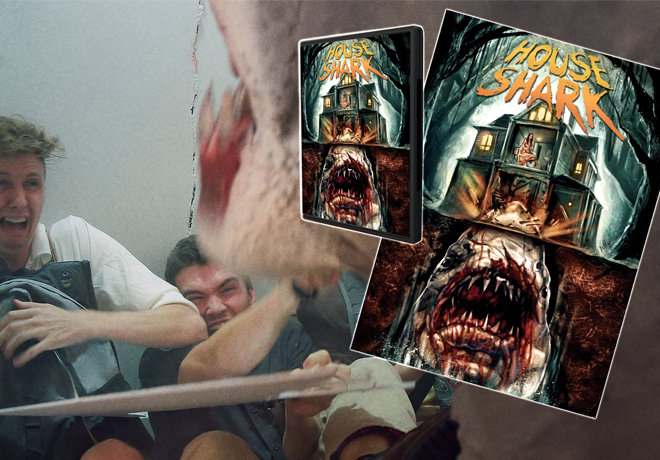 – It’s JAWS in a House! 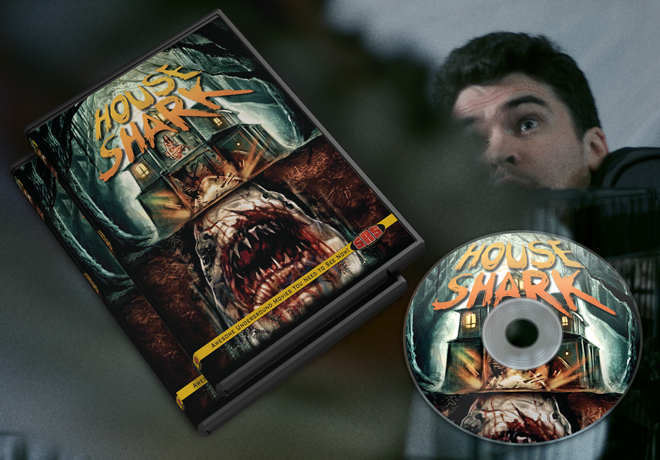 “House Shark”, likely out biggest release in 2018, is now up for presales, yay!! This is just for the limited edition Blurays, DVDs and VHS, as well as added merchandise (a wide release will come this summer). 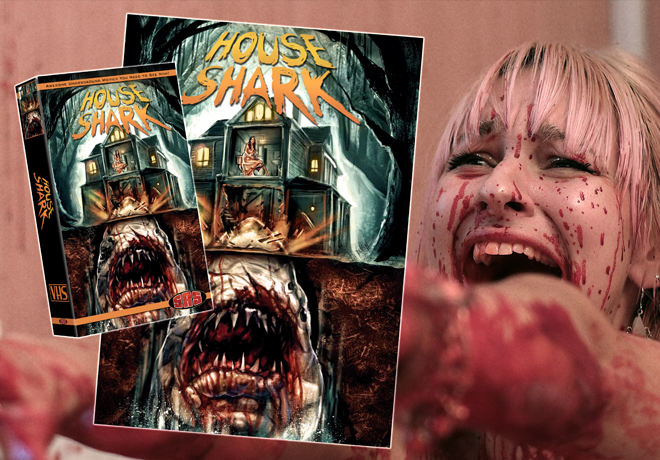 “House Shark” is our love letter to “Jaws” and has gotten the most buzz of any movie we have ever produced. The trailer has gotten over a half million views, and we are already 3 for 3 for festivals, even winning Best Horror Comedy at the most recent Nightmares Film Festival. Just when you thought it was safe to go home! 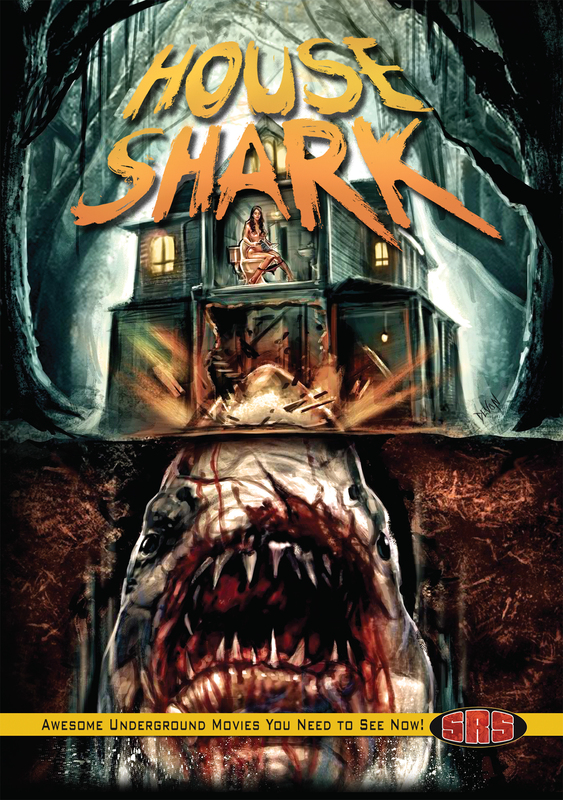 When Frank (Trey Harrison) finds his happy home under attack by a dangerous but largely unknown breed of shark, he’s enlists the aid of the world’s only “House Shark” Expert, Zachary (Michael Merchant), and a grizzled former real estate agent, Abraham (Wes Reid), to embark on a desperate quest to destroy the beast and claim back his life. 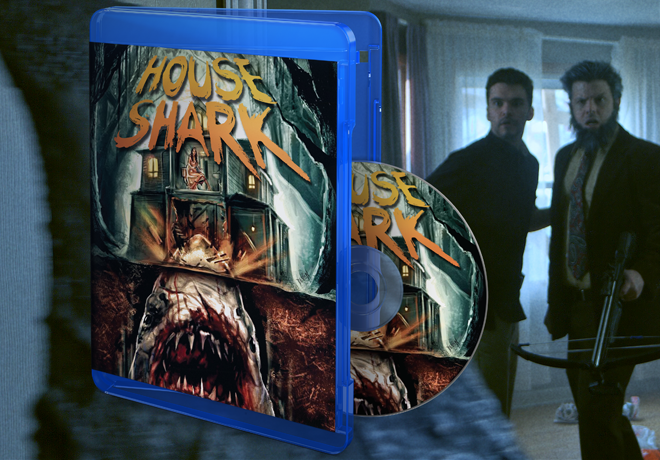 It’s JAWS in a house! From writer/director Ron Bonk. 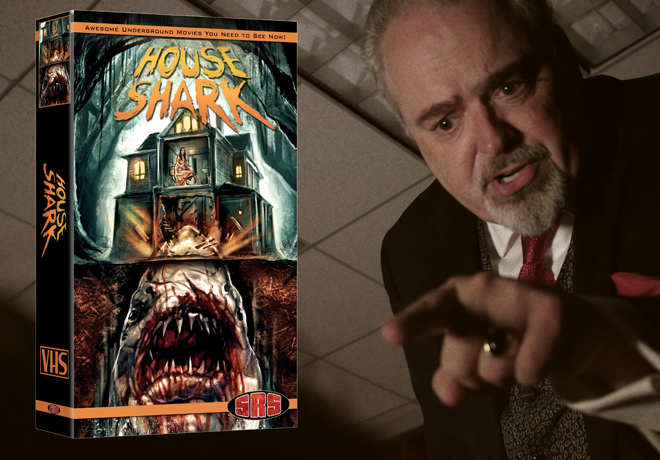 Produced by Ron Bonk (“She Kills”, “Clay”) & Jonathan Straiton (“Night of Something Strange”). Starring: Trey Harrison, Wes Reid, Michael Merchant, Wayne W. Johnson, Nathan Bonk, Melissa LaMartina, Jennie Russo, Samantha Varga, Edward Mastin, Brett Janeski. SPFX by Marcus Koch and Matthew Ash. Score composed by Emmett Van Slyke. Producers Jonathan Straiton, Tim Ritter and Howard Gromero. We decided to go the Indiegogo route in the hopes of not only reaching our current fans, but also to potentially reach new fans on the popular crowdfunding service. We began a soft launch on Weds and as of this article (2 days later), we are already over 160% funded – awesome news! The bundled perks on Indiegogo are exclusive to that platform, and we will be adding a stretch goal in the next day or so with bonus items should we hit it. So definitely get over and grab these perks – there are some awesome items like enamel pins, mini-posters, full size one sheet posters and more. 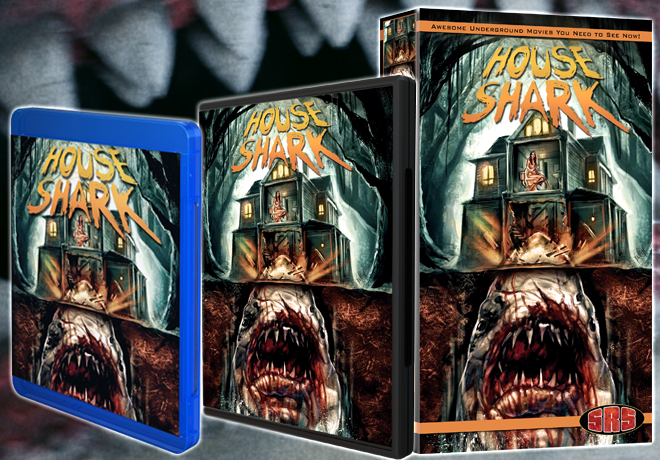 You can get it on Bluray, DVD or VHS and there’s even an option to come on board as an Associate Producer! With our goal already passed, we will be announcing a stretch goal soon – which will include fully replicated media! So please, swing on over and grab a perk, and share it to anyone you may know. We have been fortunate to build such a great fan base, we could not have done this without you, and truly appreciate the continued support. Thank you! Fatal Premonitions Pays Loving Tribute to the SOV Era in Limited Edition Release!